She’s 21 and your typical college student at Mizzou. Except she’s not. She just landed a major deal with Cellucor and is one of the hottest uprising stars in CrossFit. We mean, how many college students can legit say that they’re the sixth fittest person on the planet? Um, yeah. 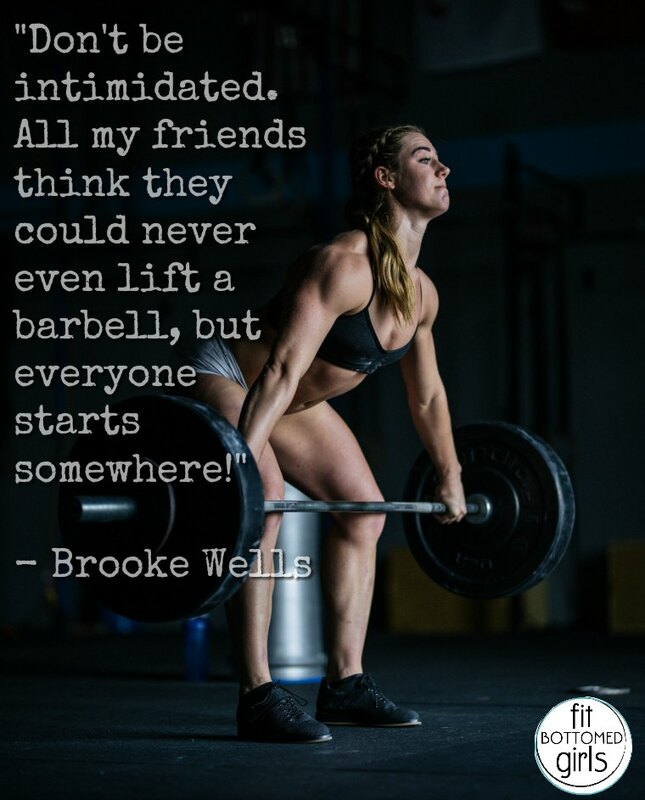 Say hello to Brooke Wells! A two-time individual CrossFit Games athlete, Wells won the 2015 Central Regional at age 19 in her first appearance. A year later, she took third in her region, but vaulted to the top of the Games with six top-five finishes and one event win. And today, we’re sharing our convo with her! How did this partnership with Cellucor come about? I used their products even before I was CrossFitting — I mean who doesn’t love C4? They had approached me and it was an opportunity I was so excited about! Not only do I really love their products, but after talking to the company I knew it was a company I wanted to be a part of. What’s your favorite product of theirs? It’s hard to choose a favorite … but probably the casein protein! I make that into a “pudding” every night and it’s the best tasting casein I have ever had and mixes really well. I also love their BCAAs and whey protein — they have so many amazing and different flavors. Can you tell us a little about your nutrition plan and how/if it differs when you’re competing? I follow macros! I eat mostly paleo (or, in other words, just real foods) I guess, with the exception of rice and oatmeal. I’m thankful to get my meals all from Paleo Power Meals. In competition, my carbohydrates just increase. In your first Open, you finished in 1,232nd place. Last year, you finished ninth. How did you do that?! What changed? I would say just many small changes over the year. I think each year I dial something in and all the little things just add up! This year, I have started working with a new coach, Ben Bergeron, which has significantly benefited my performance — best change yet! I also have started working with Working Against Gravity to dial in my nutrition. I am also much more focused and mentally prepared than any year before. How do the other students at Mizzou treat you? Any funny stories there with getting recognized or people just realizing you’re a badass? I just get treated normally — haha. It’s nothing like CrossFit events where everyone knows who I am. It’s actually always super random when I get “noticed.” Most of the time it’s not even students on campus; it will be places like the Mizzou Football games or events like that! 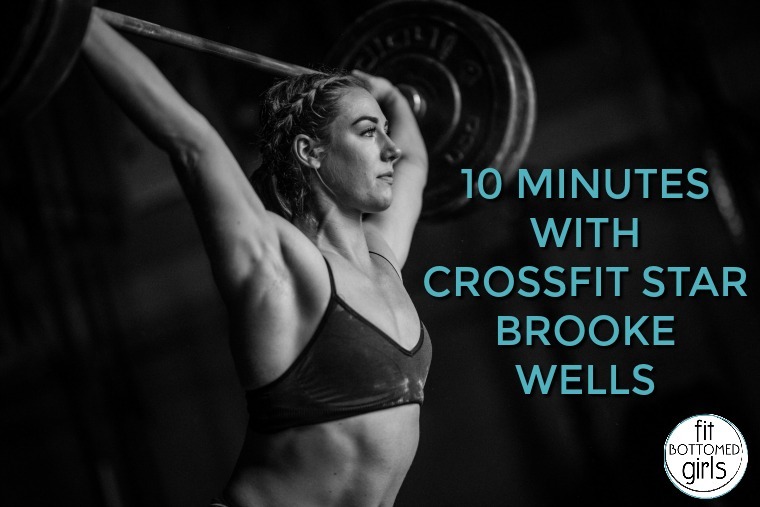 But I have had multiple students in class say “Are you Brooke Wells?” Haha. What’s your major and what are you plans after school? Business, but I plan to train and continue my CrossFit career, just focusing on CrossFit, for as long as I can. Then I will use the business degree as backup, haha. Do you have a manta or phrase that motivates you? 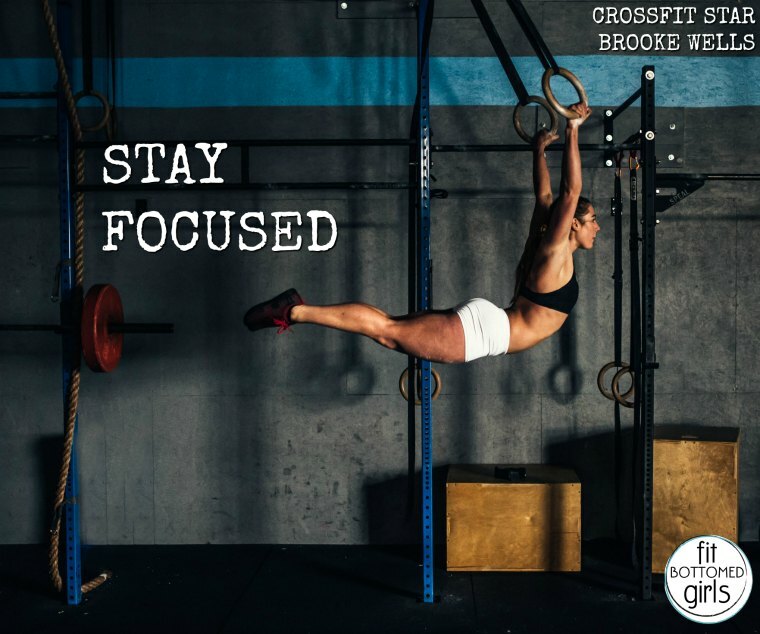 I’ve held on to “Stay focused.” Just because, to me, it means no matter what’s going on around you, what your friends are doing on the weekends, whether you feel exhausted and don’t want to train that day … stay focused on the end goal, which is the Games. What’s one thing most people don’t realize about you? Some people still don’t realize I have a twin, haha! I’ll post a picture with her and always get comments like “there’s two of you? !” Yes! Also, I am a FULL-TIME student. Not just taking a couple classes. It is very challenging and difficult to balance at some times. Especially with as much travel as I do. I’ll come back from a trip and my friends will literally say “Are you still enrolled? !” Haha, yes! I just make it work, and no, teachers are not helpful in the least bit. Any advice for women who are reluctant to pick up the heavy weights at the gym? Haha, don’t be intimidated! All my friends think they could never even lift a barbell but everyone starts somewhere!